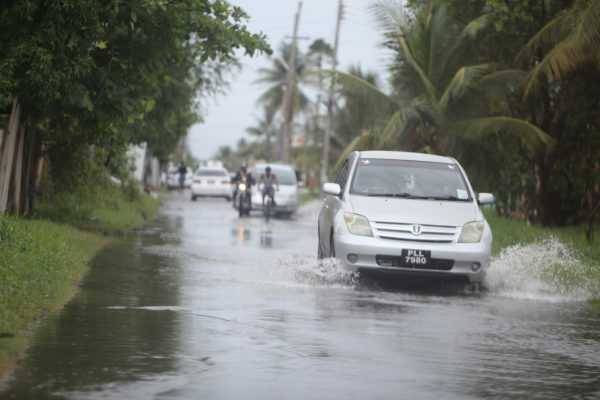 Residents are still concerned about the looming rainy season even after City Council announced that it is prepared to deal with the May/June rains since the necessary precautions have been taken to prevent flooding. A shower of rain, which started early Thursday morning, fell sporadically throughout the day and into the night. It managed to flood several parts of the city and residents are concerned. 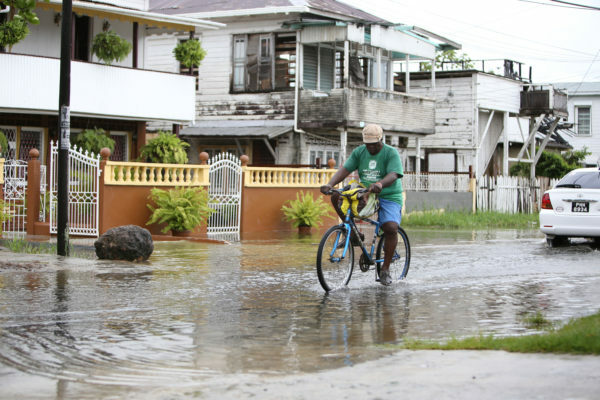 “I saw somewhere that they [City Council] said they were ready and prepared to battle this flooding but look at the street now and is not nuff rain even fall,” a resident of Alexander Village pointed out to Stabroek News. He explained that he has been living in the village for most of his life and has not seen a difference in the drainage even after the cleanup campaign. “This place does always flood when a lil cup fall and back it 2005 you had to use a boat to get around how bad it was flooded,” the man explained, pointing out that several persons yards were flooded. Garbage floats at the top of this Camp Street drain between Robb Street and North Road, while the water has run onto the pavement. Another resident explained that while his yard was flooded the water did not enter his bottom flat and he is thankful for that. Nevertheless, he is worried about what will happen when it rains heavier. “…The May/June rainy season now starting,” the man said, adding that he has already started to procure sand bags and hoist his furniture up above the ground for the coming months. Around the city, parts of Quamina, New Market and Crown streets were flooded as well as North and South Ruimveldt. In most areas, the drains were overflowing or just at their limit. City Engineer Ron Eastman had said on Monday that the city was prepared for the May/June rainy season. “We have prepared ourselves and we [are] happy to benefit now from the result from the preparedness. If there is any issue or form of heavy inundation… I would suspect it is a choked drain or solid waste build-up,” Eastman had told reporters at a press conference. 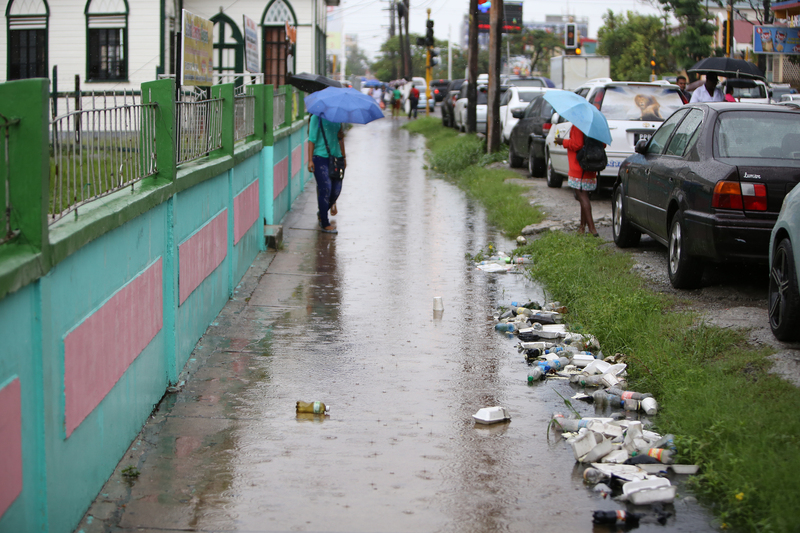 He noted that the city has carried out clean-up exercises in a majority of the areas, including clearing long neglected alleyway drains in some communities. 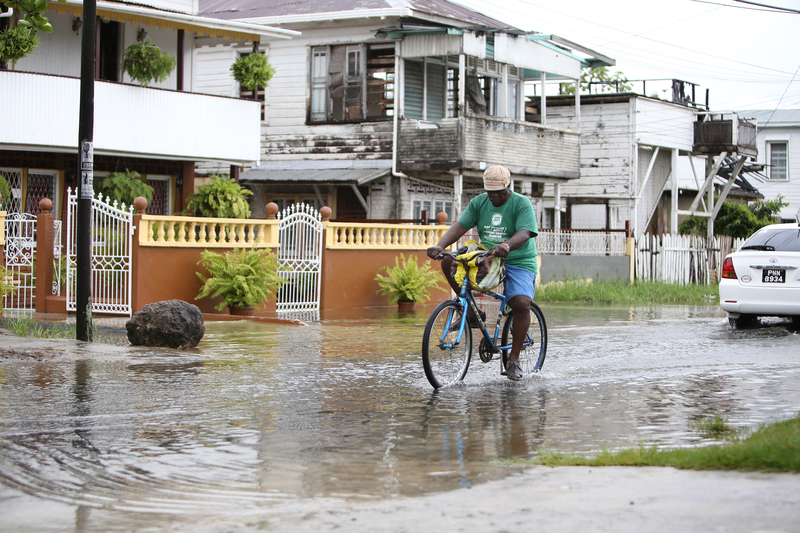 Over the years, Georgetown has experienced massive flooding after heavy rainfall. Following the APNU+AFC coalition entering into government after the May, 2015 elections, there was a large scale clean-up campaign within the city, led by the City Council and volunteers.